When I was a kid, teachers and grown-ups alike schooled me on skills to help me graduate, get a job, and earn money. However, few taught me how to make friends or about the importance of friendship in adult life. When I finally became an adult, and got my first post-school job, I started noticing how incredibly bad I was at making new friends. But then I started improv classes. Improv teachers teach much different values and skills than the teachers of my youth. Improv isn’t just about performing silly scenes together. At its heart, improv is about building connections and collaborating. In other words: improvisation lessons are also friendship lessons. People don’t laugh because of jokes, they laugh to make connections. In fact, only about 10% to 20% of laughter in conversation comes from jokes. Laughter is a universal way humans show empathy and understanding for one another. It’s not a stretch to say, that those who laugh together, stay together. I’ve laughed more with strangers in improv classes than I have with some of my best friends. Your brain automatically attaches and bonds yourself to those you laugh with. You can literally laugh yourself into friendship! Any blog will tell you the best way to make new friends is to join a club or community of like-minded people. However, if you’re not so interested in sports, networking, or knitting circles, improv is a great one-size-fits-all option. 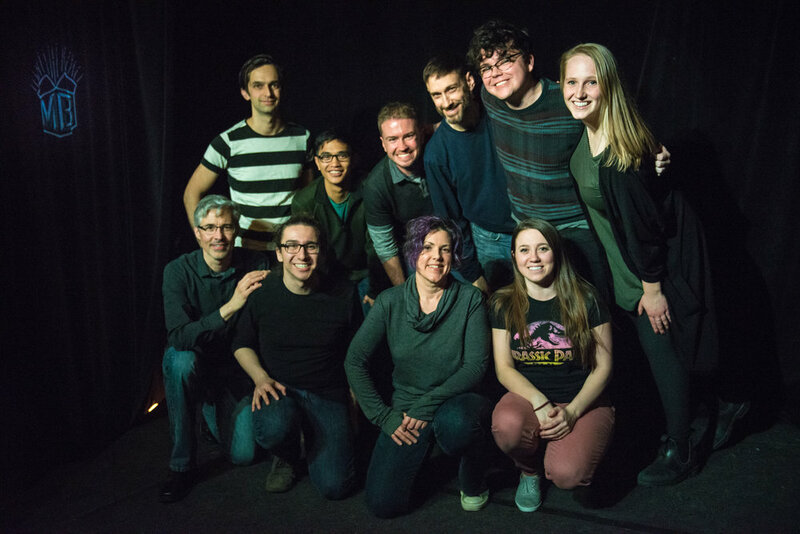 The people in improv classes come from all different backgrounds, because the tools of improvisation are easily learned and applied to many different jobs, situations or lifestyles. Most people at The Making-Box take classes to help public speaking, overcome social anxiety, challenge themselves, become better artists, or just to get out of the house. The commonality is everyone is open to growth and help others grow too - something you should specifically look for in potential friends. Here at The Making-Box we say improv is like “gasoline on the friendship fire.” There’s a reason for that. When you’re in an improv scene with someone, even a complete stranger, you quickly need to find common ground and emotional connection to build worlds and scenes together. You do this through an improv concept called “yes, and…”. Yes, And encourages you to listen to another’s opinions and points of view and incorporate them with your own. You may get by as a bad listener in your day-to-day, but that won’t fly on the improv stage. With improv, it’s easier to be the good type of friend who listens, cares, and feels for others. Not only will those feelings create bonds between you and the people you improvise with, but those skills inevitably leak into your real life making you listen, care, and feel more for those outside the classroom. My biggest block for making friends is overthinking what people will think of me. I want to make friends, but as an anxious human, I fear everything I say may drive people away. Of course, not being vulnerable is just as bad. I often come off as a closed book, uninterested in making friends. In improv, nothing you say will be used against you. Instead, it’s used FOR you. Your thoughts and point of view aren’t alienating, they are inspiring. Anything you say or do immediately becomes a platform for others to build upon. I’ve learned letting go of your fear of judgement, is the best way to improve your improv scenes. A good scene partner will accept your weird wonderful ideas for what they are, helping them grow and improve. In the same way, letting go of your fear of judgement is the best way to improve your friendships. A good friend will accept your weird and wonderful self for who it is, helping you grow and improve. In both cases, you’re doing a scary thing by opening up your soul to another human being. However, I find improvising is a much less terrifying process. Not to brag or anything, but Facebook congratulated me in January. They said I made over 100 friends in 2017. It’s now been a year since I’ve started improvising. Coincidence? Absolutely not. 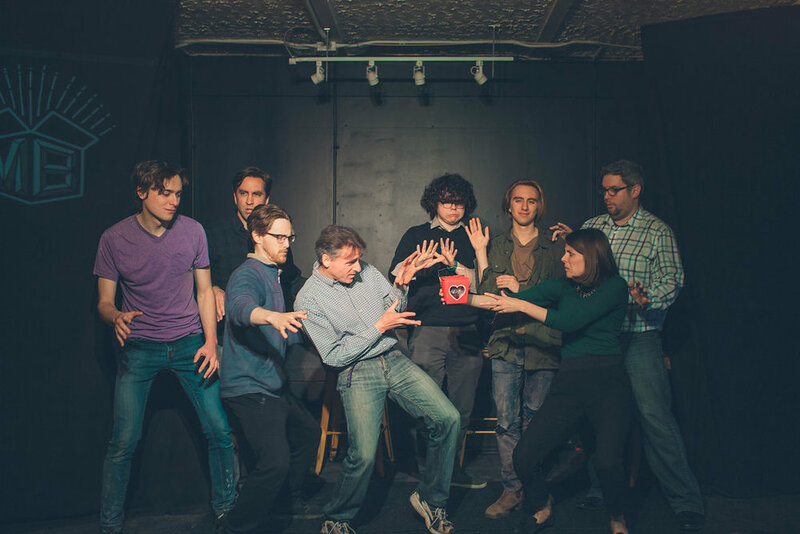 Sure there’s risk when you put yourself out there, but when it comes to improv, you’ve got a whole room of friends ready to accept you exactly as you are.